Ranchi: One of the most awaited matches between defending champions Ranchi Rays and Kalinga Lancers came to an end with the former winning by 3-2 today at the Astro Turf Hockey Stadium, Ranchi. Ranchi Rays came from behind to register this spectacular win sealing the pole position in the point’s tally of the 4th edition of Coal India Hockey India League. Spectators were up for a great show as the match started at a fiercely competitive level, with both the teams leaving no chance to score, but a spectacular display of the defensive line at both ends ensured no conversion on either sides. The story continued in the second quarter as well, with the only change an increased attack from the hosts on the Kalinga Lancers. The first half saw some close chances being created but neither of the teams were able to capitalise on them. The second half started with a flurry of attacks from Kalinga Lancers who were rewarded for their attacking play in the first three minutes of the third quarter through Malak Singh giving the vistors a hard fought lead of 2-0. The home team in response started pressing hard and were soon rewarded in the 39th minute with a penalty corner which was successfully converted through Captain Ashley Jackson. The 4th quarter saw the Ranchi Rays in their attacking flow as defender Timothy Deavin scored a field goal in the 48th minute giving the defending champions a much needed 3-2 lead. Post this the Ranchi Rays were at their defensive best not allowing the visitors any chance to even break into their side. Numerous failed attempts to score from the visitors in the dying moments saw the match ending with a score line of 3-2 in the favour of Ranchi Rays. The win for Ranchi Rays will take them to 16 points and top of the table while Kalinga Lancers move to the second position with 12 points. The next match of the 4th edition of the Coal India Hockey India League will be played between Dabang Mumbai and Delhi Waveriders at the Mahindra Stadium in Mumbai on 29th January 2016. Ranchi Rays made the most of the new rules to script a comeback 3-2 win over Kalinga Lancers in a Coal India-HIL match here on Thursday. Australian Timothy Deavin came sliding in to score spectacularly and turn the match in favour of the host, which was trailing 1-2 till early in the fourth quarter. Ashley Jackson had pulled one back from a penalty-corner after Malak Singh had made it 2-0 for Lancers with an opportunistic field goal early in the third quarter. The new regulation of doubling the goal count on a field-goal thus came to help Ranchi Rays, which scored its second successive home win and third overall to race to the top of the standings with 16 points from three wins and a loss. Lancers tallied 12 points from two wins and as many losses to remain in second position. Rays, despite making a strong start and creating two good opportunities, failed to score. The first opportunity came in the ninth minute when Australian midfielder Daniel Beale got clear into the striking zone but was brilliantly thwarted by compatriot Andrew Charter in the Lancers goal. Manpreet Singh showed his skills in the 12th minute weaving past a host of defenders to the goalmouth but his push was saved by Charter. Lancers saw a goal by Jackson being disallowed after their English captain found the Lancers net from a penalty-corner but was hauled up for dangerous play. The first two quarters ended barren as Rays struggled to finish while Lancers put up a dogged defence under captain and German star Moritz Furste. The visitors changed gears after the break and launched a barrage of attacks. The Rays defence gave way in the 33rd minute when a sharp cross from Lalit Upadhyay forced India international and Rays’ defensive bulwark Birendra Lakra to err. Lakra messed up his attempted stop as the ball flew off his stick and came off the goalpost to Malak Singh. The Lancers forward accepted the gift with glee and volleyed home the rebound to give the visitors the lead in the 33rd minute. Jackson converted the team’s fourth penalty-corner in the 39th minute to keep Rays in the match. Deavin, coming in as a late substitute, found the winner off a sliding effort after Charter had failed to cleanly block Danile Beale’s shot in the 48th minute. The result: Ranchi Rays 3 (Ashley Jackson 39-pc, Timothy Deavin 48-fg) bt Kalinga Lancers 2 (Malak Singh 33-fg). RANCHI: Defending Champions Ranchi Rays completed a hat-trick of wins after eking out a 3-2 win over table toppers Kalinga Lancers in a round robin match of the fourth Hockey India League on Thursday. Down 0-2, the hosts produced a brilliant fightback with Ashley Jackson (39th minute) reducing the deficit by converting a penalty, while Timothy Deavin (48th) scored a field goal to seal the match for Ranchi. For Kalinga, Malak Singh (33rd) produced a field goal to give his team a 2-0 lead. As per the new goal scoring system, every field goal and penalty stroke goal resulting from a deliberate four is counted as two. With this win, Ranchi zoomed to the top of the table. They will next take on now Jaypee Punjab Warriors on Saturday, while Kalinga will meet Dabang Mumbai on Sunday in Mumbai. After a hard-fought battle in the first two quarters, it was Kalinga who earned the first blood with Malak Singh scoring a field goal three minutes into the third quarter. Six minutes later, skipper Jackson grabbed on to an opportunity when he stepped up and powered the ball into the goalpost, converting a penalty corner, to reduce the deficit to 1-2. However, even after the end of the third quarter, the visitors still lead 2-1, thanks to some superb save by Andrew Charter. It was Deavin who turned the match on its head in the 48th minute when he showed lightning quick reflexes to slot in the on the rebound to make it 3-2. With just five minutes to go, the Lancers played their heart out but they could not level the score as Ranchi continued their dominant run. MUMBAI: The experimental rule on field goals introduced in the ongoing Hockey India League (HIL) was yet to make a difference to the eventual results of the matches so far, said Dabang Mumbai's Australian coach, Jay Stacy on Thursday. "There has not been a result in the tournament so far (decided by the new rule). If it's the old rule, it will still be the same result. Until that happens it's been normal so far," said the four-time Olympian ahead of his team's third round game on Friday against Delhi Wave Riders. Stacy said it did not appear that the players were trying to score more field goals than normal in a hockey game, though the rule was in the back of their thought process. "I'm not sure if the teams consciously are going for more field goals. I am sure it's in the back of their minds. "The caliber of these players is such that they want to make the best decision and sometimes the best decision is to win the penalty corner. Penalty corner is a great skill to watch," said Stacy. Though Mumbai have lost both their previous games, by 2-4 to Kalinga Lancers and 1-3 to Jaypee Punjab Warriors, Stacy was upbeat about the team's chances in the first of three back-to-back home games, against Delhi, as the team was in full force now. "We played good hockey and created chances but did not convert those. In the old scoring system we lost 2-1 in both matches. If we were getting completely outplayed or did not get scoring chances, it's a big problem. But that is not the case. They were close matches. "This is almost the first session we almost had the whole group. (Johan) Bjorkman (of Sweden) was ill, now he's getting back to full fitness. I expect him to play a big part tomorrow night. "This is the first match at home. The boys are excited and hopefully the lessons we had learnt from our road trip and our practice sessions would be put into practice now," he said. "Like Ranchi, we would like to build a hold with the crowds in Mumbai by playing attractive hockey," he added. Matthew Swann is of the view that the Hockey India League 2016 (HIL) will see close matches decided by a single goal. “The field goal rule will make it possible for a side trailing by one goal to overturn the result at the last minute, if the forwards manage to convert a field goal,” observed the Dabang Mumbai captain, at the Mahindra Stadium on Thursday. He was replying to a query whether Kalinga Lancers’ 10-1 victory over UP Wizards will become the norm, instead of a rarity in the competitive league. Dabang has lost two out of two so far (against Kalinga Lancers and JPW). Swann will face one of the stronger teams in the HIL, Delhi Waveriders, runner-up in 2013 and champion in 2014, with a different set of players. The Aussie, experienced and successful in his national colours of gold and green, points out that more Aussies (players and coaches) are seen in the Indian league due to the similarity in approach on the turf. “Australia and India tries to play attacking hockey,” he said. He is a player to track, among the numerous Indian and international stars in action at the Mahindra Stadium, for calibre and experience. Dabang, coached by Aussie great Jay Stacy, has a captain whose form in 2011 won him the FIH World Player of the Year award. Capped 129 times by Australia, he played for major clubs in Queensland and Bloemendaal in the Dutch league. Swann rates Birendra Lakra highly. “He is probably one of the finest players in the world in his position. Lakra is a quality defender and can assist the midfield,” said Swann, replying to a query about talented Indians in world hockey. Lakra is part of defending champion Ranchi Rays and is making a name for himself with his consistency and work ethic. Delhi Waveriders, coached by ex-Mumbai and India coach Cedric D’Souza, won in 2014 with the iconic Sardara Singh directing operations in the midfield. The latter switched to JPW for HIL 2016. Making comebacks is nothing new for Walmiki, and over the past couple of years, he has taken the HIL route to claw his way back into the Indian team. This edition of Hockey India League (HIL) holds greater importance than the previous three, or for that matter the forthcoming ones. The 2016 Rio Olympics is a little over six months away, and the HIL provides some discarded Indian hockey players a platform to stake claim to fly to Rio. However, for Yuvraj Walmiki, the next 25-odd days would probably decide the future of his hockey career. In September, barely two months after being part of the team in the Hockey World League (HWL) semifinals in Antwerp, the Mumbaikar – rather surprisingly – found himself out of even the national camps thereafter. He scored heavily in domestic tournaments but his efforts went unnoticed. Now, the Delhi Waveriders forward has one last chance to prove himself and impress head coach Roelant Oltmans before the final squad for the Olympics is picked. "Yes, this is my make or break HIL season," Walmiki told dna on the eve of his team's match against Dabang Mumbai on Thursday. "I was out of the Shimla camp (after HWL Semifinals), but I continued to perform in domestic tournaments in Mumbai. However, HIL is a big platform for me because if I miss this year's Olympics, I don't think I will be there till 2020," the 26-year-old added. "Call it coincidence or whatever, but I'm always out of the team before HIL. And in the past three years, I've performed well for Delhi. So, for me, HIL is really important, for it gives me a chance to get back into the scheme of things," he said. It is that chance the Mumbaikar is desperately hoping to get this time around as well. "Fingers crossed," he said. "That's my hope. I'm confident that my hockey will do it again. I'm really focussed, and I think I should get one chance to prove myself before Rio. I still have that hunger," he said. People, though, have started to question that hunger. After being dropped from the team, Walmiki decided to take part in a reality show, Khatron Ke Khiladi 7. He was in Argentina to shoot for 45 days in October-November last year, and many reckoned he had given up on his game. "Only yesterday (Wednesday), someone asked me if I had stopped playing hockey. Why would I? Even now, I'll choose to play for my country over anything. But I wasn't even in the national camp when this offer came up, and I really wanted to try it. My fundamental in life is that I want a name for myself even after my playing career is over," Walmiki said. He came back from Argentina with extra fat of about 5kgs, but hit the gym straightaway to prepare himself for HIL. Walmiki scored a field goal for Delhi in their first match itself, and is eager for an encore against Mumbai in front of his home crowd on Friday. What's more, the show airs on Saturday. KARACHI: NBP clinched the inaugural Chief of Naval Staff (CNS) All Pakistan Hockey Tournament as they defeated SSGC 2-0 to lift the cup at the Hockey Club of Pakistan in Karachi on Thursday. NBP began the final on the front foot and kept testing SSGC’s defence in the opening minutes of the game. Their strategy paid off when Dilber Hussain scored the opening goal in the 13th minute to give his side a 1-0 lead. The goal served as a wake-up call for SSGC who desperately sought an equaliser and their constant threat in NBP’s final third earned them three penalty corners, but they failed to convert. NBP, meanwhile, sealed the win by scoring in the 51st minute through Bilal Qadir, despite SSGC goalkeeper Salman Akber giving his all to keep his side in the game — he blocked four goal-bound shots before letting one in. NBP skipper Touseeq Arshad, who had to see his side lose in the semi-final of the National Hockey Championship earlier this month, hailed his side’s ability to keep their composure in a nervy final. Meanwhile, PIA defeated Navy 6-3 on penalties to finish third in the tournament after the match had finished 2-2 in normal time. KARACHI: National Bank of Pakistan (NBP) won the inaugural Chief of Naval Staff (CNS) Hockey Championship when they defeated Sui Southern Gas Company (SSGC) 2-0 in the final at the Hockey Club of Pakistan Stadium here on Thursday. Mohammad Dilber and Bilal Qadir scored field goals in their team's triumph. CNS Admiral Zakaullah Chaudhary was the chief guest and presented glittering trophy and cash prize of Rs 1.1 million to NBP captain Muhammad Tausiq Ahmed while SSGC captain Abbas Haider collected runners-up trophy and Rs.800,000 prize money. SSGC collected three penalty corners and NBP two, but both teams failed to convert their chances. It was a good comeback by formidable NBP after they finished third in the National Hockey Championship held at same venue a couple of weeks back. Pakistan International Airlines (PIA) defeated Pakistan Navy 6-3 on penalty shootout, after their classification match ended in a 2-2 draw in the regulation time, to secure third spot. Muhammad Irfan and Muhammad Zubair netted the goals for winners. Asad Aziz and Muhammad Sabir scored the goals for Navy in the regulation time. PIA got Rs.600,000 for securing third position. Speaking on the occasion, Naval Chief Admiral Zakaullah said that Navy wanted to play their part in the revival and uplift of the national game of the country. LAHORE - National Bank of Pakistan (NBP) routed Sui Southern Gas Company (SSGC) 2-0 to clinch the title of the 1st CNS All Pakistan Hockey Tournament 2016 which concluded on Thursday. Both the finalists played well but NBP managed to stamp their authority throughout the final as they not only attacked well but also defended superbly which helped them lift the coveted trophy. NBP earned two penalty corners while SSGC gained three penalty corners but both couldn’t get benefits from them. The winners’ first goal came from Dilber who struck the field goal in the 13th minute in the first quarter while the second and third quarter remained goalless. The fourth and last quarter then Bilal Qadir field goal witnessed another goal from NBP when Bilal Qadir hammered field goal in the 51st minute to help his team finish as triumphant. PIA defeated Navy 6–3 on penalty shutouts to secure third position. Both the teams gave tough time to each other and were at 2-2 when the final whistle was blown and the match was then decided on penalty shootouts. Only penalty shootouts, Navy could score only one goal through M Asif while PIA slammed four goals one each by Haseem Khan, M Zubair, Rana Sohail and M Irfan. Great Britain Head Coach Danny Kerry has named the 22 athletes to travel to Australia for a six-test series. With a slightly larger squad than the usual 18 taken to tournaments, Kerry has been able to add some players to the group who did not feature at the World League Finals in December 2015. 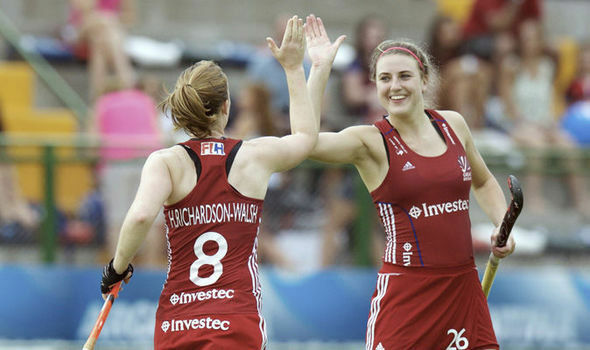 Olympic Bronze medallist Georgie Twigg currently has 45 Great Britain caps to her name and could go past the 50 mark if she features in five of the six matches. Hannah Macleod, another Olympic Bronze medallist is also in sight of the 50 Great Britain caps mark, also on 45. St Albans striker Ellie Watton needs just three caps to reach her half century of combined England and Great Britain appearances. “We will be using the training and the test series to give the squad exposure to a different style of hockey to the one they would typically face in Europe. It is a good opportunity for us to develop as a group with an extended period of matches in an overseas environment." "I am delighted for Sophie Bray’s return. She has persevered through a challenging time to overcome injury. I look forward to seeing her back on the pitch." Veterans Kayla Whitelock and Emily Naylor are set for a return to international hockey when the Black Sticks Women head to Argentina next month. The Black Sticks play world number two Argentina in six tests from 23 February - 3 March in Mar del Plata, south of Buenos Aires. Whitelock, who has 229 test caps to her name, last played for the Black Sticks at the 2014 Glasgow Commonwealth Games before taking a break from the sport which included the birth of daughter Addison. Naylor (257 caps) also took time away following the Glasgow Games, and suited up in October’s South Island series against Argentina but was forced to withdraw after suffering a hamstring injury in the opening game. The duo add to a strong team of 19 players who will have their first hit out of the year on their road to the Rio Olympic Games in August. Assistant coach Sean Dancer said it’s a great opportunity to begin this year’s Olympic build-up against one of the best teams in the world. “We’re looking at this series as a chance to continue developing depth within our group in what is a hugely important year for us,” Dancer said. The series also provides an opportunity for some less experienced players to gain valuable experience with less than 200 days until the Rio Games. Goalkeepers Amelia Gibson and Georgia Barnett will share time in Argentina with the experienced Sally Rutherford remaining at home. Captain Anita Punt will also miss the series and continue training in New Zealand under specialist coach Jude Menezes. The series is an important part of the side’s lead up to the Hawke’s Bay Cup from 2-10 April, and then the FIH Champions Trophy in London from June 18-26. Kayla Whitelock and Emily Naylor are set to be welcomed back into international hockey. The two veterans will line up for the Black Sticks women when they head to Argentina next month, playing the world number two side in six tests from February 23. Whitelock hasn't worn New Zealand colours since 2014 at the Glasgow Commonwealth Games. The 229-cap former captain took a break from the sport, giving birth to daughter Addison. Naylor also took time off following the Glasgow Games, and was set to return to full action in October only to suffer a hamstring injury in her first game back. The 257-cap Black Stick will help add steel to the team of 19 players who will have their first hit out of the year in Argentina. Assistant coach Sean Dancer said it's a great opportunity to begin this year's Olympic build-up against one of the best teams in the world. "We're looking at this series as a chance to continue developing depth within our group in what is a hugely important year for us," Dancer said. "This is an exciting group, including the likes of Kayla and Emily who we are excited to see back in action for the Black Sticks." Captain Anita Punt will miss the series and continue training in New Zealand under specialist coach Jude Menezes. Orewa beach is rarely spoken of in the same breath as Brazil's famed Copacabana, yet it was with one eye on Rio de Janiero that the Black Sticks trained on the sand. The squad got their road to the Rio Olympics in August underway this week with training and fun in the sun at Orewa, north of Auckland. Other than flotsam and jetsam washed up on the sandy shores, there wasn't a stick in sight - other than the Black Sticks themselves. The Black Sticks took their first steps towards the Rio Olympics with a training session at Orewa, north of Auckland. Andrew Cornaga / www.photosport. There was a frisbee, and a round ball cast in many roles - it was a volleyball, a football and even got passed around from hand-to-hand, like a netball. It has been just over two months since the Black Sticks lost 5-1 to Argentina in the final of the Hockey World League. Ranked fourth in the world, the Black Sticks seemed well over that disappointment and bonding as they worked out at Orewa, six months out from the Olympic Games. A slight improvement will see New Zealand among the medals in Rio. Netherland top the world rankings, followed by Argentina and Australia. Rio has famous beaches such as Ipanema and Copacabana, washed by the Atlantic Ocean. Sports are a big draw, with surfing, stand-up paddle boarding, jogging, cycling and skating, football, volleyball and futevolei – a Brazilian combination of volleyball and football. Just the place to frolic with an Olympic medal. Black Stick Pippa Hayward believes there is a strong connection between the All Blacks and the New Zealand women's hockey side and has joked that she hopes the trend continues. After successful relationships between Black Sticks Gemma Flynn, Honor Carter, Kayla Whitelock and their All Black partners, Hayward said she was keen on the idea of landing an All Black herself. The Black Sticks have begun preparations for the Rio Olympics at a camp in Orewa and 25 players are hoping to make the cut for Rio after April's Hawkes Bay Cup, but Hayward has set a few extra goals. "You're going to say 'what are your goals for the year?' and I'll say, oh you know, meet an All Black," Hayward told TVNZ. "I don't know, I feel like there's a big connection between the All Blacks and the Black Sticks. It's lucky that a lot of them are taken, so there's only a few of us. So..call me,"
The Black Sticks season kicks off with a test series against Argentina next week. Lidewij Welten is a winner in every sense of the word. The FIH Women’s Player of the Year has enjoyed another tremendous season, despite her team perhaps not achieving all they would have wished for. A win in the FINTRO Hockey World League Semi-Final was followed by a runners-up spot at the EuroHockey Championship and fifth place at the Argentina Hockey World League Final in Rosario. And even if the team weren’t winning, the silky-skilled midfielder still gathered fans wherever she played. With Welten leading the charge, you can be pretty sure that the Netherlands will be ready to put recent defeats behind them and defend that Olympic title in Rio just seven months from now. Further recognition of Ireland’s ascension to world hockey’s top table came yesterday when Craig Fulton was named as the International Hockey Federation’s coach of the year. Less than 24 hours after Green Machine captain David Harte was hailed as the world’s best goalkeeper, Ireland men’s coach Fulton followed him into the record books. The South African, a double Olympian and 191 times-capped international as a player, guided Ireland to the Olympics for the first time in over 100 years in 2015 and masterminded the country’s first ever medal at an elite tournament, when they annexed bronze at the European championships last summer. Ireland’s achievements under Fulton are all the more creditable, given the low ebb the side was at when he took over in early 2014. Andrew Meredith’s 14-month reign had ended with many players frustrated and some senior squad members considering moving on, but Fulton’s appointment helped settle the side down. Well regarded in Ireland from his successful time as a player and coach with Pembroke Wanderers and as assistant coach to David Passmore with the national side from 2006-09, Fulton is widely credited by his players for helping them mentally deal with the lingering disappointment of their failed 2012 Olympic qualification campaign. Ireland, under another South African coach in Paul Revington, lost in the final seven seconds to Korea in the final of the 2012 qualification tournament, and despite being without numerous stalwarts of that era, Fulton has worked the oracle with the Green Machine. Under his stewardship, Ireland have risen to 12th in the world and consistently out-performed higher-ranked teams at major tournaments. Pakistan and Malaysia were both beaten within two days of each other at World League 3 in Antwerp to ultimately secure Ireland’s place in Rio, while European bronze came after seeing off hosts Great Britain in the medal match in London. KAREN BROWN, the Great Britain and England assistant coach, has been named as the FIH women’s Coach of the Year for 2015. The award came 24 hours after Lily Owsley was announced as the FIH female Rising Star. Brown, 52, is Britain’s most capped female hockey player ever with 355 caps, having competed in three Olympic Games, winning a bronze medal in 1992. She also won European indoor gold in 1991, Commonwealth silver in 1998, European indoor medals and numerous national titles, indoors and out, with her club Slough. She began coaching in 2000 with Chelmsford, leading them to a European Cup Winners Cup medal and the national indoor title. 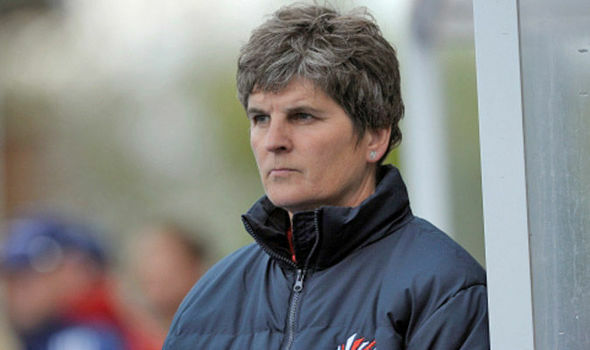 Subsequently she worked with the English U16, U18, U21 and B programmes and was head coach of the U21 women’s team at the Junior World Cup in Chile in 2005. That same year she joined England Hockey as Junior Performance Manager before moving to be Assistant Coach with Danny Kerry the following year. Since then she has been part of the coaching team which has led England to medals at the World Cup, Champions Trophy, Commonwealth Games and European Championships, including last year’s gold in the Olympic Park. With Great Britain she was in the coaching team which finished sixth at the Beijing Olympics and won bronze in London 2012. Eighteen athletes have been named to the Canadian Under-21 Women’s National Team set to compete in the Junior Women’s Pan American Championships – a 2016 Junior World Cup qualifier – from March 29th to April 10th in Trinidad and Tobago. The top two finishers at the tournament will earn a spot at the 2016 Junior Women’s World Cup to be played in Chile from November 23rd to December 4th this year. The Canadian team features a mix of athletes from across the country, including athletes who have senior international experience such as Priya Randhawa (Surrey, BC) and Lauren Logush (Richmond Hill, ON), as well as Under-18 provincial champions. The women are coming off a seven game test series in Chile – during which they won three and lost four games – in preparation for the Junior World Cup qualifier in March. At the Junior Pan Ams, Canada plays in Pool B with Bermuda, Mexico, host Trinidad and Tobago, the United States and Venezuela. Canada will play each team in its pool once and the top four teams in each pool will advance to the quarter-finals. The Canadians play their first match on March 30 against Bermuda at 4:00pm local time (12:00pm PT/3:00pm ET). The Pan American Hockey Federation has announced the Officials for the 2016 Pan American Championships. The women’s competition will be held in Tacarigua, Trinidad & Tobago, from March 29 to April 10, while the men’s competition will be held in Toronto, Canada, from May 20 to May 28. The women’s competition will feature 11 countries, namely defending Champions Argentina, Barbados, Bermuda, Canada, Chile, Guyana, Mexico, host Trinidad & Tobago, Uruguay, USA and Venezuela. The men’s competition will feature 8 countries, namely defending Champions Argentina, host Canada, Chile, Guyana, Mexico, Puerto Rico, Trinidad & Tobago and USA. Laura MACCHIOTTI will be the PAHF Event Coordinator for both competitions. JUNIOR Hockey League (JHL) title sponsors feted four Thunderbolts teams under their fold to a scrumptious lunch Thursday, with a promise to continue helping the teams prosper in the long run. Tenaga started by sponsoring Sekolah Sukan Tunku Mahkota Ismail (SSTMI) a decade ago, and the school now holds the distinction of four consecutive back-to-back doubles in the JHL. Three more teams were included under the Thunderbolts programme this year and they are Bukit Jalil Sports School and Pahang Sports School in Division One and Anderson in Division Two. The Thunderbolts programme, run by former internationals who are Tenaga employees, seem to have a golden tough as in Division One, SSTMI and Pahang Sports School are one-two, while BJSS fourth on the standings currently. Anderson are tops in Group B of Division Two with three wins so far. oday, Pahang Sports School will face their moment of truth when they play against a wounded UniKL Young Guns. "All four Thunderbolts gathered at the Kilat Club for lunch and motivational talk midway of the League and I can see that my players are really fired up to give their best in the remaining matches," said Pahang Sports School coach Sufian Mohamed. But Sufian admitted UniKL will nor be easy: "UniKL lost to Politeknik (1-0) last weekend and I believe they will also try their best to claw back into the League with a win against us. But I have faith in my players for full points," said Sufian. Pahang stared off by playing in Division Two, gained promotion and finished sixth in the League last season. This year, they have won all three matches and are second to SSTMI only because they have played one less match than the double champions. UniKL, double silver medallists last season, have had a poor season as they are sixth on the standings after losing two out of four matches. FRIDAY -- Division One: UniKL Young Guns v SSP-MSP Thunderbolts (National Stadium I), PJCC v SSTMI Thunderbolts (National Stadium II), Nur Insafi v SMKDBL Young Guns (Sungai Petani). Division Two: Group A: Perlis Young Lions Jnr v Matri (Kuala Perlis), MCKK v Perlis Young Lions (Kuala Kangsar); Group B: STAR v BJSS Jnrs (Azlan Shah I), MSSWPKL v Anderson Thunderbolts (Ministry of Education), MSNPK/ILHC v Felda Juniors (Azlan Shah II); Group C: Pahang Hockey Academy v TBSS Tampin (Temerloh), Malacca High v MSNT-PHT (Malacca), SMKDBL Jnrs v Datuk Taha (Batu Pahat). SATURDAY -- Division One: Olak Tigers v SSTMI Jnrs (Tun Razak), PJCC v SSP-MSP Thunderbolts (National Stadium II). Division Two: Group A -- Kedah Jnrs v Penang MSSPP-USM (Sungai Petani), Azlan Shah Science v Perlis Young Lions Jnrs (Kuala kangsar); Group B: Felda Jnrs v BJSS Jnrs (Azlan Shah I), MISCF-UFL v Anderson PHA (KLHA); Group C: Science Johor v Datuk Taha (Batu pahat). SUNDAY: Division One: BJSS Thunderbolts v SMKDBL Young Guns (National Stadium I), UniKL Young Guns v SSTMI Jnrs (National Stadium II). KUALA LUMPUR: This is a crucial weekend for the top teams in Division One of the TNB Malaysian Junior Hockey League (MJHL). Leaders Tunku Mahkota Ismail Sports School (SSTMI)-Thunderbolt intend to consolidate their position at the top of the league despite having to face two former champions. They meet Petaling Jaya City Council (MBPJ) on Friday and Bukit Jalil Sports School-Thunderbolt on Sunday. SSTMI lead the 10-team Division One standings with 12 points from four matches. Pahang Sports School (SSP-MSP-Thunderbolt) are second with nine points from three matches and Politeknik Malaysia are third with seven points from five matches. Defending champions SSTMI can expect to be severely tested by MBPJ and BJSS as these two sides are also fighting for points to remain in the top half of the standings. MBPJ team manager Zainal Abidin Ismail admitted that this weekend’s matches “will more or less separate the men from the boys”. “We’re at the halfway mark and my team will be up against two of the biggest teams, who are sponsored by Tenaga Nasional under their Thunderbolt programme. We have SSTMI tomorrow and the Pahang Sports School next. Then, comes UniKL,” he said. MBPJ are in fifth spot in the standings with six points from three matches. Last year’s runners-up UniKL are in the same predicament as MBPJ. UniKL, who also have six points, have played four matches and lost twice – 6-1 to BJSS-Thunderbolt and 1-0 to Politeknik Malaysia. Desperate for points, UniKL will have to be wary when they face the vastly improved Pahang Sports School on Friday and SSTMI Juniors on Sunday. “I’m not worried about our opponents. It’s our game that we need to work on ... and get right. “My players can play much better, but we’ve yet to hit form,” said UniKL coach I. Vicknesweran. The Pahang Sports School also know that full points from their next two matches – against MBPJ and UniKL – will set them up nicely for the title decider with SSTMI on Feb 19 at their home ground in Kuantan. Bob de Voogd has signed up to a four year contract with the soon to be formed Oranje-Rood club, making him the third Dutch player after Rob van der Horst and Mink van der Weerden to put pen to paper. Oranje-Rood will be the new name for the amalgamation of Oranje Zwart and EMHC which will take place later in 2016. Speaking on Instagram about the new deal, de Voogd – who proved the match winner in the 2015 EHL final – said: “I am delighted to say I will play in the coming years in Eindhoven at the newly merged clubhcoranjerood! I am proud, very pleased and looking forward to the future. " Sander Baart, however, is moving on from OZ and will play with Royal Antwerp next season. After failing to qualify for the World Cup held at The Hague in 2014, the Pakistan hockey team touched a new low last year by throwing away the opportunity to make it to the 2016 Rio Olympics which was clearly the darkest hour of Pakistan sports history. The ignominy of failing to qualify for the Olympic Games for the first ever time in its history led to change of guard at the helm of Pakistan Hockey Federation (PHF) and a hand-picked retired armed forces man were handed the reins by the prime minister who is the patron-in-chief of the hockey body. Pakistan has a chequred history in Olympic Games hockey. They have finished on the podium eight times since 1948 – three-time as winners, three-time as runners-up and twice at third. But what were the factors that denied Pakistan a ticket to the Rio Games after having won back-to-back silver medals at the Incheon Asian Games and Bhubaneswar Champions Trophy in 2014? If medals are a barometer to judge the performance, then the greenshirts seems to be on the right track before embarking to Antwerp, Belgium, to compete in the Hockey World League semi-final that served as the last qualifier for the Olympiad. In fact, those who follow the game will agree that it was the tiff between Akhtar Rasool-led PHF and the government over the allocation of funds that brought the team and the nation into despair. The government alleged that millions of rupees given to the PHF including Rasool’s predecessor Qasim Zia during the PPP government, were plundered and hence repeated requests by the hockey officials were ignored by the PML-N regime. Finance Minister Ishaq Dar asked the AGP to conduct a five-year audit of the PHF in April but the report is yet to be made public. The prime minister’s anger with Rasool was visible as the latter had reportedly switched loyalties during the Musharraf regime. But somehow, he managed to regain the PHF chief’s slot when Sharif returned to power. Perturbed with his (Rasool’s) stance, the PM neither met the PHF hierarchy nor rewarded the silver medal winning team. The PHF went from pillar to post and even approached the Pakistan Cricket Board (PCB) to get loan for at least a year, but in vain. The prime minister’s meeting with the hockey team was put off at least twice on Feb 10 and March 19 last year but some reports suggest that four scheduled meetings were cancelled. That led to the greenshirts entering the Olympic qualifiers with a low morale and broken hearts. Pakistan performance in the round matches of the event remained dismal as they won 2-1 over Poland, suffered 1-6 loss at the hands of Australia besides sharing points with India and France by playing two-all draw apiece respectively in the group A matches. They need to win the crucial game against Great Britain in the knockout quarter-final but lost 1-2 and could not seize the fifth spot in order to earn a place in the quadrennial Olympics. Later, of course, the solitary goal loss at the hands of minnows Ireland, the world No 14, in the classification match for the seventh-eighth position turned out to be the last nail in the coffin for Pakistan and they finally ended up eighth in the 10-nation competition. The government announced to bear all the expenses of the Belgium tour. The prime minister was quick to form a committee to probe the debacle. The country has seen many such committees in the past including the one after the twin debacle at Willesden World Cup and the Seoul Asian Games in 1986. The then director general of the Pakistan Sports Board (PSB) retired Brig Abdul Hamid “Hamidi” had invited Olympians and sports journalists among others, including this correspondent, to listen to their views before reaching a conclusion. Strangely, the recent probe committee with the then IPC secretary Ejaz Chaudhry as convenor held barely two to three meetings and politely conveyed the incumbents to step down and make room for their successors. It was on July 30 that the committee recommended change of guard in the PHF. The IPC informed the National Assembly on Aug 11 that an amount of Rs430.62 million was given to the PHF during 2011-13 while the Punjab Government doled out Rs100 million in 2014-15. Taking responsibility of the debacle, Akhtar Rasool stepped down and Brig (r) Khalid Sajjad Khokhar took over the reins. The latter, who was nominated by the PM as successor on Aug 21, got the vote of confidence on Aug 27, the day head coach Shahnaz Shaikh resigned. Addressing his first press conference, the new president set his sight on the 2020 World Cup, ignoring all other events that are scheduled for the interim period. Secretary Rana Mujahid, too, quit on Sept 1 and former Olympian Shahbaz Ahmed took over the very next day. Back-to-back junior events – Sultan of Johor invitational hockey tournament and the eighth junior Asia Cup – both in Malaysia, were the first tests of the new set-up. Pakistan finished at the bottom among the six teams in Sultan of Johar event held at Johor Bahru and had to be content with runners-up slot in the Asia Cup after losing 2-6 to India in the final at Kuantan. The only consolation was that Pakistan qualified for the Junior World Cup being held in India later this year. On the domestic front, PIA landed the national title by getting the better of Wapda 4-2 on penalty stroke shootout after being tied two-all in regulation time in January. National Bank of Pakistan (NBP) cruised to 2-0 victory over PI A in the final to annex the Chief of the Army Staff crown in February. The bankers proved their mettle again when they carved out a 3-1 victory over national champions PIA again to clinch the Quaid-i-Azam Gold Cup organised by Customs (Preventive) after a span of two weeks. In the Juniors competitions, the bankers maintained their supremacy while claiming the national junior title by getting the better of Wapda 3-1 in April. Besides the on-field setbacks, Pakistan lost ex-Olympians Arshad Ali Chaudhry and Shahzada Syed Shahrukh who expired on June 11 and Sept 6 respectively. It would be wise that the government stop its interference in the affairs of sports bodies and do away with the practice of nominating “blue-eyed” people at the helm of affairs in cricket, hockey and other disciplines to uplift sports standards in the country. The Islamabad-based Pakistan Sports Board (PSB), where a number of reputed people have served at the top most position during yesteryear, is alleged to be promoting parallelism and many corruption scandals last year have been the cause of concern in Pakistan sports circles.